Things haven't been very good for President Obama lately. Last week, Congress heard from witnesses concerning his administration's fatal failures related to the September 11, 2012, attack on our consulate in Benghazi, Libya. Not buying into the make-believe nonsense that Obama has improved America's standing among terrorists devoted to our destruction, jihadists recently attacked the Boston Marathon. The unemployment rate has decreased by only 0.4 percentage point since January. And then there are the things that Obama really cares about. Perhaps symbolically, last week, Republican senators Bob Corker (Tenn.) and Saxby Chambliss (Ga.) defeated Obama and Sen. Mark Udall (D-Colo.) in a game of golf. Likewise, reporters have been suggesting that the defeat of Obama's gun control agenda in the Senate puts his political clout in as much doubt as his golf prowess. Adding to the bad news for the Obama agenda, a report issued by the Bureau of Justice Statistics (BJS-a component of the Justice Department) shows that firearm homicides in general, and violence at schools, have decreased substantially during the last two decades; the percentage of homicides committed with firearms has decreased; and only a tiny percentage of state prison inmates imprisoned for gun offenses obtain their guns from gun shows. As the Washington Post's Jennifer Rubin characterizes it, the report is "wonderful news for the country and rotten data for anti-gun advocates." 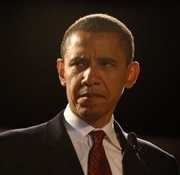 To make matters worse for Obama, the story has been picked up by some heavy hitters in the national news media. In an article for U.S. News and NBCNews.com, veteran reporter Pete Williams points out that the BJS report shows that 40 percent of criminals get their guns from friends and family members, and another 37 percent get theirs from theft or other illegal sources. Lest gun control advocates accuse the BJS or Williams of having a pro-gun political agenda, Williams notes that "The report is strictly factual." NRA members probably are not surprised at the gist of the BJS report. In the NRA's magazines and NRA-ILA's Grassroots Alerts, we've been reporting the decline in violent crime, the relative safety of schools, and the relative rarity of criminal acquisition of firearms at gun shows, for nearly 20 years. But for the general public, the contents of the BJS report may come as a revelation, especially given the way that many in the media have reported on the gun control issue over the last few months. As another U.S. News article and a Fox News article that covered the BJS report point out, a recent Pew Research Center poll found that while "The gun homicide rate in 2010 was the lowest it had been since [the Centers for Disease Control and Prevention] began publishing data in 1981," 56 percent of respondents believe that gun crime is higher than it was two decades ago, against 12 percent who believe it is lower. To be clear, 2010 is the most recent year for which the CDC has released homicide data. For the record, FBI data show that the murder rate dropped again in 2011, and again in the first half of 2012. But let's give the president a break; this much good news for the country might be more than the poor man can stand.